M12, Microsoft’s corporate venture fund, extend its investing coverage to India with objective to help entrepreneurs innovate and grow with Microsoft’s reach, expertise, and technologies. Rashmi Gopinath, partner at M12, will be leading M12’s investments in India. 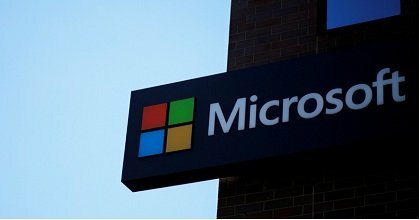 Microsoft continues its portfolio of investment in the Indian startup ecosystem with M12 announcing its first India investment today, Innovaccer, a startup working to solve data interoperability challenges in healthcare and helping health systems enhance their clinical and financial outcomes with a data-first approach. Venture capital investments in Indian tech business-to-business (B2B) start-ups have been trending upwards with over US$3.09B raised in equity funding across 415 deals in 2018, 28 percent more than $2.41B invested in 2017 (Source: Tracxn 2018). Moreover, an increasing number of enterprise B2B startups are being founded in India that cater to a global customer base, most notably in artificial intelligence and machine learning, robotics, software as a service (SaaS), data analytics and Internet of Things (IoT). These sectors continue to be top strategic priority focus areas for Microsoft and M12 as well. In addition, India offers unique competitive advantages by being home to top technical talent in the world including deep tech areas such as computer vision, robotics, blockchain and autonomous driving. These factors position India favourably to support highly innovative startups that can effectively compete on a global scale. Read More: How to protect your children from advance cyber threats? M12 is comprised of experienced VCs and Microsoft veterans—with team members on the ground in North America, Europe and Israel. Globally, M12 has invested in over 70 startups in areas ranging from cybersecurity and artificial intelligence to business SaaS and industrial drones. While the investment team functions like a traditional VC firm, the portfolio development and venture engagement groups strengthen the lines of communication between Microsoft and many of the innovation communities around the world. It has access to, and knowledge of, Microsoft’s strategic assets, enabling it to value add in excess of the contributed capital.